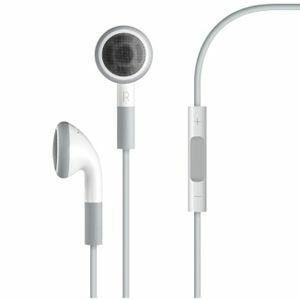 The white earphones that come with your iPhone or other Apple mobile device may not be the best sound quality devices on the market, but if you have a pair with remote control buttons on them, you may not know how much you can actually do with them–from answering phone calls, starting and pausing music, to activating Siri and giving it commands. I personally like the Apple earphones because the earbuds fit comfortably in my ears, instead of those kind that you have to jam into your ears so they won’t fall out. But I also use my remote control earphones while driving Five Apps And A Few Tips For Using Your iPhone While Driving Five Apps And A Few Tips For Using Your iPhone While Driving The key to using your phone while driving is to reduce the number of steps it takes to make a call, send a text message, or check driving directions. 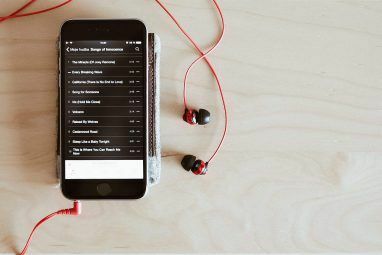 The iPhone includes a few built-in... Read More , listening to music or podcasts in bed, and talking to people on the phone. These little doodads are the best way to go hands-free with your iPhone, or other mobile devices. Whenever you know you’ll be talking on your iPhone a lot, definitely plug in your earphones to talk and control incoming calls and conversations. If you have the remote control earphones that come with the iPhone, iPad, and iPod touch, it contains three buttons: a + and – control, and a center pause and play button. You may not have ever noticed, but on the other side of those controls is a tiny mic as well, in which you can speak into without necessarily having to raise the mic up to your mouth. Just make sure you’re not covering the mic with your finger while trying to talk into it. Squeeze the center button to receive a call and press it again to end it. If you receive a call while talking to someone else, press the center button once to switch over the next call. And press again to end it and return to the original call. You can ignore an incoming call by long pressing the center button, until you hear two beats. The call will be sent to phone voicemail. Control the volume with the + and – buttons. Play and pause the music, video, and podcast program. Press the center button to return the previous song. Double-press the center button and hold, to fast-forward a song or audio. Triple-press quickly and hold, to rewind a song. With the earphones plugged in, compose a shot and press the + button to snap photos. This is similar to pressing the + button on the side of the phone itself to snap photos. If you’re using the iPhone 4S, you are probably using Siri. You can also use your earphones to activate and talk to Siri. Press and hold the center button to activate Siri. Press and release the center button again to quickly end an activation. If you don’t have Siri on your iPhone, read my article on voice controlling your iPhone Stop Tapping & Start Talking: Voice Control Your iPhone Stop Tapping & Start Talking: Voice Control Your iPhone You may not know that your iPhone has a few built-in voice command features that can save you the trouble of typing keystrokes. This feature indicates that we can expect even more and similar voice... Read More to make similar commands. The voice commands also apply to the use of the earphones. Your earphones are not limited to just the iPhone or iPad they came with. You can use the controls and remote microphone with your MacBook Pro and MacBook Air to control the volume, play and pause of iTunes and QuickTime Player, and to do voice-to-text-dictation Stop Typing: Better Learn To Dictate Text with Dragon Dictate for Mobile Devices [iOS] Stop Typing: Better Learn To Dictate Text with Dragon Dictate for Mobile Devices [iOS] Nuance's iPhone apps, Dragon and Dragon Search have been available for free download for over a year now. Since then, the company has added a few other similar voice to text apps to its line... Read More . See my article, How to Dictate Writing On Your Mac How To Dictate Writing On Your Mac: Apple's Dictation vs DragonDictate How To Dictate Writing On Your Mac: Apple's Dictation vs DragonDictate For a long time if you wanted or needed to use a speech-to-text dictation program on your Mac, your only choices were MacSpeech Dictate (now defunct) and Nuance's DragonDictate. But with the release of Mountain... Read More for additional instructions. 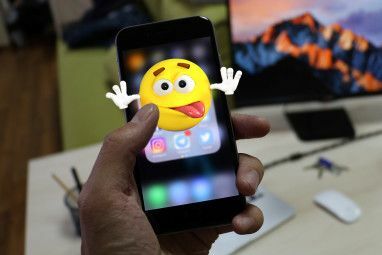 No doubt Apple will be adding more voice commands in the future releases of iOS devices, and though the feel and orientation of its popularly used earphones may change, the remote functions should get enhanced. But let us know of your experiences with the earphones and what features you would like to see added. Explore more about: Headphones, Mobile Accessory, Siri. What about talk to text on incoming text ,messages? Are there headphones that work on iPhone for this capability, like the LG does for Android that read the text to you? Is there a way to turning these controls completely off, because my wire is bugged out and when i walk with the phone in my pants, the commands randomly go off. Is there a way to turn off the microphone on my headphones and use the built in microhphone on my iPad while still using the headphones to hear? Also, pressing the centre button does not go to the previous song, it pauses the current song. pressing the centre button 3 times will go to the previous song. Three times for previous song. Double tap and hold to fast forward. Again, thanks for the clarification and tip. You missed the double tap with music to skip the song. That's a very basic necessity. But you jumped right over to the double tap and hold... Just a simple double tap to skip to the next song. Matt, thanks for sharing that tip. I didn't realize it at the time of writing this article. Just found out it had a center button too! Thanks a lot! No doubt that Bluetooth is not as strong as a wired connection. Your experience is probably pretty common. I'll be using the tip about the camera. Thanks, I did not know that. Interesting article. However, Apple doesn't seem to want you to be able to exchange damaged earphones for the same ones (+, center,-). I went to a couple different stores and when I told them my earphones had broken, they went to the back to get a box containing low-end earphones. No plus or minus buttons.. Has this happened to anyone else? Why didn't you ask them give you the +/- earphones in exchange? At every store I went to, they said they weren't allowed. Every time, I asked for a manager and he/she said that apple specifically sent them crappy earphones to be used for exchanges. Wow, that seems totally unfair. You should write a complaint letter to Apple about that one. Sorry to hear about your issues with the Store. Yeah, this article was mainly written for people new to the earphones, or hadn't really checked out their features yet. My wife only knew about the volume up and down features. 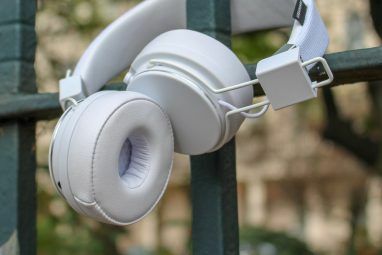 I knew some of them and I expect these similar type of functions to be performed by some of the Android phone or any other smartphone's headphones. Other than that,a good article to bring up awareness of such ignored piece of a phone. Susendeep, thanks for the feedback. Very useful indeed! Thanks for the article. I would like to know this too. I wear earbuds during conference calls and stay on mute until it's my turn to speak. He Is asking that when he is working out, listening to music, is he able to mute the music to speak with someone or have to take the ear buds out? I didn't know half of those. Thanks! Thanks, you're welcome. I learned a few tricks myself while writing article. Hi I was just wonder if there is a way to activate the mic to have a conversation. Like working out some one walks up to ask a question. Instead of taking out your ear buds, you could press a button and hear them. I ride motorcycles and this would be helpful with a helmet on. Art, I'm not quite understanding what you're asking. Are you asking how can you hear someone when you're using your earphones? I doubt how many users would actually know abt the remote control.. True, that's the reason I wrote the article. Thanks for your feedback.